Englewood, Tenafly, Cresskill, Alpine, Rockleigh, New Milford, Closter, Demarest, Oradell, Emerson, Paramus, Woodcliff Lake, Montvale, Park Ridge, Washington Township, Westwood, River Vale, Old Tappan, Harrington Park, Saddle and Upper Saddle River. You spend good money on your clothes, so you want them to last. Our odorless, organic cleaning system treats each piece with care. We use a process that is far more environmentally-friendly than perc, the dry-cleaning solution of the past, but just as tough on stains. It’s gentle on fabrics, especially trims, dyes, and fringe, ensuring that your wardrobe will look sharp for years to come! Hem a little too long? Could that dress be taken out a little bit? Our expert tailoring service ensures a custom fit. Don’t part with your favorite jeans because of a broken zipper, or push that dress shirt to the back of the closet because it’s missing a button. Our on-site tailor will have you back in them in no time! From rugs to Uggs, we clean it all! 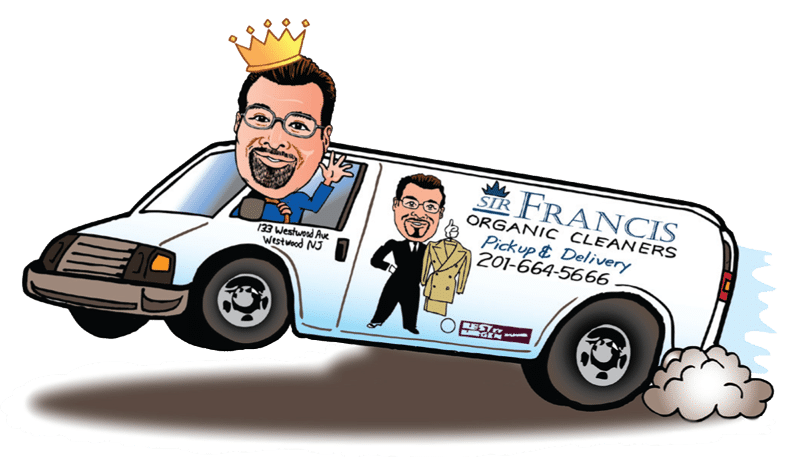 We treat your draperies, comforters, gowns, leather, fur, and even Timberland boots with the same care as your everyday cleaning.